This is a line or two lines of introductory text. Le Moyne offers students an exceptional educational experience chracterized by its foundation in the liberal arts, its commitment to excellence and its faculty, who are wholly invested in their roles as teachers, mentors, and advisors. Click Learn with Us below to find out more, or browse specific areas on the left. A Le Moyne education invites students to live lives of service, faith, intellect, and integrity. A Jesuit education is not simply about reading from a textbook or researching information online. Le Moyne is the second youngest of the 28 Jesuit colleges and universities in the United States. More than just the members of the Society of Jesus, our Jesuit community extends to all corners of our campus. Led by the Vice President for Student Development, Le Moyne’s Division of Student Development is committed to the Ignatian principles grounded within Jesuit education. We invite our students to participate actively in a safe, respectful, diverse and open academic community. We challenge them to grow in mind, body and spirit for the greater good. Hence, students are empowered to develop their unique skills and talents to be critical thinkers, compassionate leaders and contributing citizens in our diverse, ever-changing world. As educators, we are called to model our mission as mentors engaged in the pursuit of excellence. Our passion for integrative and holistic learning compels us to work collaboratively with the entire campus community. Through our comprehensive array of innovative programs and services, we provide the environment for students to be able to achieve their full potential. The Division of Student Development encompasses Academic Advising and Support, Campus Life and Leadership, Campus Ministry, Campus Security, Career Advising and Development, the Collegiate Science & Technology Entry Program (CSTEP); Disability Support Services, Event Management, Global Education, Higher Education Opportunity Program (HEOP) and African American, Hispanic, Asian, Native American Program (AHANA); Multicultural Affairs, Sodexo Food Services, Student Conduct, and the Wellness Center for Health and Counseling. For more complete information on the programs available to Le Moyne’s students, please refer to the Student Handbook located at www.lemoyne.edu/studenthandbook. Orientation is critical to student success and prepares students to transition to collegiate life – academically, socially, spiritually and personally. Le Moyne offers a unique, comprehensive program of orientation for incoming students to assist in their smooth transition to the College. All first-year students, both commuter and residential, are expected to participate in this formal series of events, which begins with a one-day “Summer Welcome” and culminates with an extended, “Fall Arrival” just prior to the start of classes in late August. Events during Fall Arrival are designed to introduce first-year students to Le Moyne’s ideals of Spirit, Inquiry, Leadership and Jesuit. Through this extended orientation, students have an opportunity to build community, become acclimated to college life, and meet key faculty mentors and administrators before returning students arrive on campus. During “Summer Welcome”, first-year students complete their fall course schedules, meet an academic advisor in their major, and take placement tests, and both students and parents become acquainted with the unique services and programs that Le Moyne offers to promote academic success. “Fall Arrival” is an opportunity for the College to officially welcome new students through meaningful traditions that will create lasting memories for both students and their families, including attendance at New Student Convocation. Another decades-old tradition at Le Moyne, a carefully selected group of returning students called the Orientation Committee (OC) assists our students with move-in and introduces them to campus life. A similar, but distinct, welcome called “Connecting to Campus” is offered to new transfer students just prior to the beginning of classes in both the fall and spring. It is tailored to the unique needs of the transfer student, with an emphasis on meeting other students and assisting in navigating their newly chosen campus. Student picture IDs are issued from the Office of Campus Life and Leadership and located on the second floor of the Campus Center. 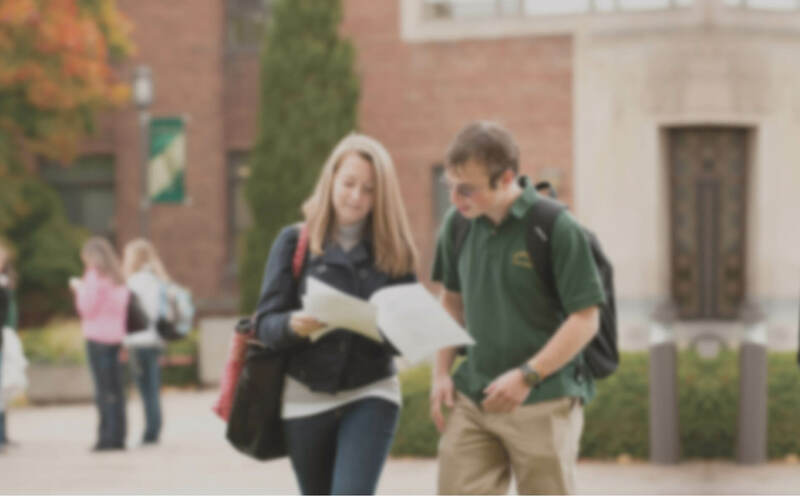 A current Le Moyne Student ID will allow you to check out books from the library, use the facilities at the recreation center, and give you access to residence halls. The Heights Alert system is designed to enhance and improve emergency communication so that all members of the Le Moyne College community can stay informed in the event of a campus emergency. This system will automatically send an email to all student, faculty and staff Le Moyne email accounts. Additionally, it allows students faculty and staff to register to receive a text message to their cell phone, in the event of an emergency or campus closure. The system will be used only for emergency contact purposes. Subscribers to Heights Alert will pay no fees for the service, other than any regular fees associated with text messaging. To register simply go to Le Moyne’s home page and click on the “create an account” under the Heights Alert tab. Campus Life and Leadership is devoted to providing dynamic living and learning environments that support the needs of the Le Moyne residential student. Recognizing that students’ living environments have a profound impact on their personal and educational development, the Campus Life & Leadership staff aims to structure living environments that facilitate the overall growth of the individual. Throughout the academic year, members of the Campus Life and Leadership staff provide students with a variety of educational and social programs in order to enhance the College experience. As a residential campus, Le Moyne considers the provision of on-campus housing to be a very important part of its educational mission. The College requires all students to reside on campus, unless they are residing with parents, guardians, or the Campus Life office has granted them authorization to live off campus. There are several types of housing offered, the details of which can be found on the Campus Life and Leadership website at www.lemoyne.edu/campuslife. Students with special housing needs should contact Campus Life. The Campus Life and Leadership Office is open Monday-Friday from 8:30 AM – 4:30 PM. Call us at 315-445-4520 or send us an email at campuslife@lemoyne.edu. Le Moyne College is pleased to offer, and strongly encourages students to participate in, learning communities. Proven to enhance the college experience, learning communities enable new first-year and transfer students to engage in unique academic and social opportunities with their peers and faculty during critical times of transition to college. Several options are available for first-year student participation. Residential learning communities based on various themes give students the opportunity to live with others who share similar interests and enroll in two or more key courses together as a group. Typically, the course content emphasizes the theme of the particular learning community. Learning communities also offer study groups for these linked courses. 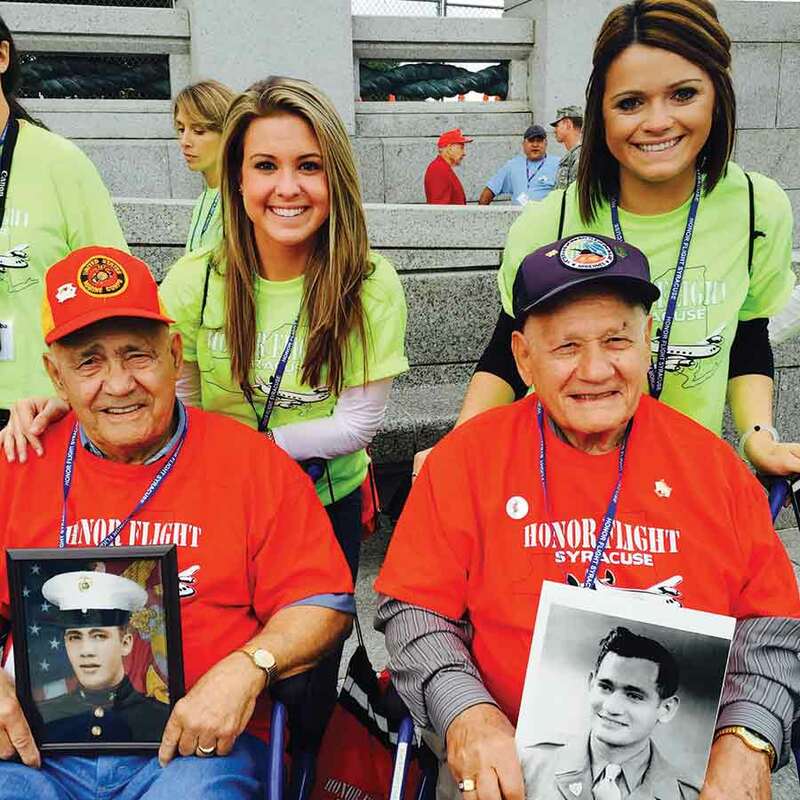 Students in learning communities often participate in out-of-class experiences as well including field trips and service learning activities. Learning community options vary each academic year based on student interests and faculty availability. Please visit our website at www.lemoyne.edu/learning_communities or call Campus Life & Leadership (315) 445-4520 for current options or with questions. There are several dining locations on campus. These include LaCasse Dining Center, The Dolphin Den, Kaffe Nuvo, and the C-Store. For information about specific meal plans, menus, special events and hours of operation, visit the dining services website: www.lemoynedining.com. The Dolphin Den, located on the ground floor of Grewen Hall, features a convenience store, an upscale coffee shop and a full-service snack bar all in a large, comfortable space. A pub, located in the Campus Center, is a social space for the members of the Le Moyne Community who are 21 years of age or older. Health Services practices in an integrated model of services delivered through the Wellness Center for Health and Counseling. Health Services, available to all students, is located in Seton Hall. It is staffed with registered nurses from 8:30 a.m. to 4:00 p.m. Monday through Friday when school is in session. Medical coverage includes a doctor and a physician assistant, one of whom is on campus daily and will see students, without charge, by appointment. Appointments are preferred; walk-ins are accepted. Referrals to specialists off-campus can be arranged. Health Services offers medical care that includes emergency first-aid, treatment for injuries and illness, medical and nursing consultations, health related counseling, laboratory tests, and other diagnostic procedures ordered by the College’s physician assistant or the student’s private physician. Off-campus services such as allergy injections, dental, x-rays and physical therapy can be arranged through the Health Services office. In compliance with New York state law, all students must have documentation of two measles, mumps and rubella vaccines given on or after their first birthday, or lab reports of positive titers for measles, mumps and rubella. Also completing a Meningitis Vaccination Response Form is required. Registration procedures will be delayed if immunization compliance has not been met prior to the designated date. A $100.00 fine will also be placed on the student’s account if they are not on file. Transfer students may submit a copy of the physical/immunization record from their previous college. All full-time undergraduate students, including transfer students, must complete a physical examination, medical history and immunization record. In addition, no student may participate in intercollegiate athletics, or reside on campus, until this form is on file. All health related forms can be found at www.lemoyne.edu/wellness on the Health Services page. All full-time undergraduate students are required to have medical insurance and will be enrolled in a college health insurance policy that will be billed directly to the student’s account. This fee can be waived if the student can provide evidence of other insurance. The waiver process is done online and the instructions will accompany the bill. All students, regardless of class status or credit hours may purchase this insurance. Information is available in the health office, Office of Graduate Education and the Center for Continuing Education. College life can be quite challenging at times. Stress can arise from academics, relationships, family, mental health issues and sometimes just overall emotional well-being. It is a sign of intelligence and courage to recognize when you may need help, and it is also the first step in solving any difficulty. Counseling Services provides an integrated model of services delivered through the Wellness Center for Health and Counseling. Counseling Services, available to all students, is located in Romero Hall. The hours of operation are Monday through Friday, 8:30 to 4:30, when school is in session. Services include individual counseling, group counseling, and wellness coaching provided by licensed psychotherapists, by appointment. Referrals to mental health providers in the community can be arranged. For after-hour emergencies and crises, a counselor is on-call 24 hours. An on-call counselor can be reached by contacting Campus Security at (315) 445-4444. Counseling Services also offers holistic, wellness-based assessments and recommendations for treatment. Short-term counseling is available to all students. A substance abuse specialist is available to provide assessments, support and emotional groups, and short-term counseling. Additionally, counseling and psycho-educational groups are offered on issues related to stress management, wellness, substance abuse, and ADHD. The counselors at the Wellness Center also offer wellness programming to the campus community and consultations with students, families, faculty, and staff. The counseling staff holds a variety of wellness and mental health related resources, including books, brochures, and DVDs. Additional counseling and wellness information can be found on the Wellness Center for Health and Counseling website www.lemoyne.edu/wellness and social media pages (Facebook and Twitter). To schedule an appointment, please contact the office between 8:30 - 4:30, Monday through Friday, at (315) 445-4195. Campus Ministry supports the spiritual and religious life of the campus with activities open to students and staff of all faiths. Campus Ministry seeks to empower students, faculty, administrators, staff and alumni as persons of faith “for and with others,” in the Catholic, Jesuit tradition. responds to the diverse pastoral needs of the campus community. The Campus Ministry Office is in the Panasci Family Chapel. The usual business hours are Monday to Friday, 8:30 am to 4:30 pm. The phone number is 315-445-4110. The e-mail is campusministry@lemoyne.edu. You can find more information on our website at: www.lemoyne.edu/campusministry. Through selected courses with academic credit, service learning students are challenged to integrate a carefully selected community service experience with their course objectives. They are guided by faculty to reflect on this community experience through class discussion, journals, presentations and scholarly papers. These creative learners contribute hundreds of hours of services in the Syracuse community each year. For several consecutive years, Le Moyne College has been selected for the President’s Higher Education Community Service Honor Roll, which recognizes institutions of higher education that support exemplary, innovative, and effective community service programs. The Presidential Award is the highest federal recognition an institution can receive for its commitment to service learning and civic engagement. Preparing for future careers, obtaining professional employment, pursuing graduate or professional education are all very important concerns of college students. The mission of the Office of Career Advising and Development is to provide guidance, resources and opportunities that assist Le Moyne students in discerning career alternatives, securing employment and pursuing graduate or professional education. Career Advising and Development offers many programs and resources to support its mission and the career development needs of its students. Individual consultation, coaching and counseling are available with experienced career development professionals. Seminars and workshops on a variety of topics including résumé writing, interviewing and graduate school planning are offered regularly. Up-to-date resources on career alternatives, local and national employers, job opportunities and graduate school programs are maintained in a resource library as well as through a comprehensive website. Internship advisement and referral is provided. Recruitment programs featuring employers from a variety of industries are conducted on campus, through joint consortium programs in the region and online. First-year students and sophomores are encouraged to explore majors and careers with the help of a career counselor. Students are advised to engage in career development activities through career services beginning early and continuing up to graduation. Alumni of the College are also eligible for career services throughout their careers. For further information, consult www.lemoyne.edu/career_services or call (315) 445-4185. © 2015 Le Moyne College.